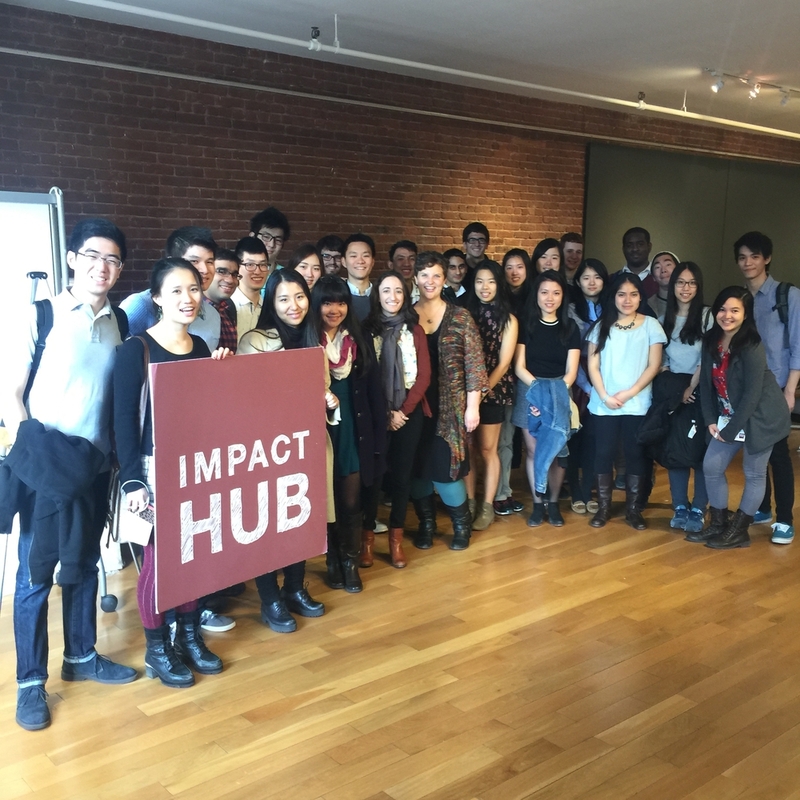 Inspiring and preparing liberal arts students to pursue careers in entrepreneurship. Kai Entrepreneurship (or Kai for short) is based out of Wesleyan University in Middletown CT. We're a completely student run 501(c)(3) non-profit (in formation) organization that creates programs and highlights existing programs that promote openness, inclusion, and community in tech and social entrepreneurship. Our focus on these principles springs from the troubling lack of diversity in the current entrepreneurship world and the technology industry overall, and we see college as an ideal time to encourage people of all interests and backgrounds to get involved. Kai Labs is an innovative student forum that teaches design, engineering, and management in a project based format. The projects have real clients from administrative departments at Wesleyan University. The students work throughout the semester with their clients to build a functioning product that can be used an maintained by there clients. Bi-annual hackathon and designation open to students of all majors and backgrounds. Students spend the weekend drafting and building solutions to problems that matter, while tireless mentors and great food keep everyone motivated! Last Hackathon was Spring 2017 for the Kai Labs student forum. The PCSE, the Allbritton Center for the Student of Public Life, and the Jewett Center for Community Partnerships (which includes Service-Learning, Office of Community Service, the Civic Engagament Certificate, and the Center for Prison Education) form a hub of civic engagement on campus. We work closely with the Gordon Career Center, Wesleyan Alumni in Philanthropy and Public Service (WAPPS), Kai Entrepreneurship Wesleyan, and other campus partners. We invite alumni to volunteer as speakers, mentors, grant reviewers, and more. The PCSE, the Allbritton Center for the Student of Public Life, and the Jewett Center for Community Partnerships (which includes Service-Learning, Office of Community Service, the Civic Engagament Certificate, and the Center for Prison Education) form a hub of civic engagement on campus. We work closely with the Gordon Career Center, Wesleyan Alumni in Philanthropy and Public Service (WAPPS), the Wesleyan Entrepreneurship Society, Kai Entrepreneurship Wesleyan, and other campus partners. We invite alumni to volunteer as speakers, mentors, grant reviewers, and more. The Wesleyan Entrepreneurship Society was forged in 2012 to ignite the entrepreneurial spirit at Wesleyan by providing its members the necessary skills, resources and support to ideate, innovate, and change the world. The society aims to become the place for students who share a common interest in generating change and/or honing their entrepreneurial skills to congregate on-campus through weekly lecture series and hands-on workshops. NOTE: As of Fall 2016 Kai has absorbed the society. Stay current with all that's happening with Kai Entrepreneurship Wesleyan. We have events and programs all year long (including summer and breaks) that engage Wesleyan students, alumni, and friends in tech and entrepreneurship.